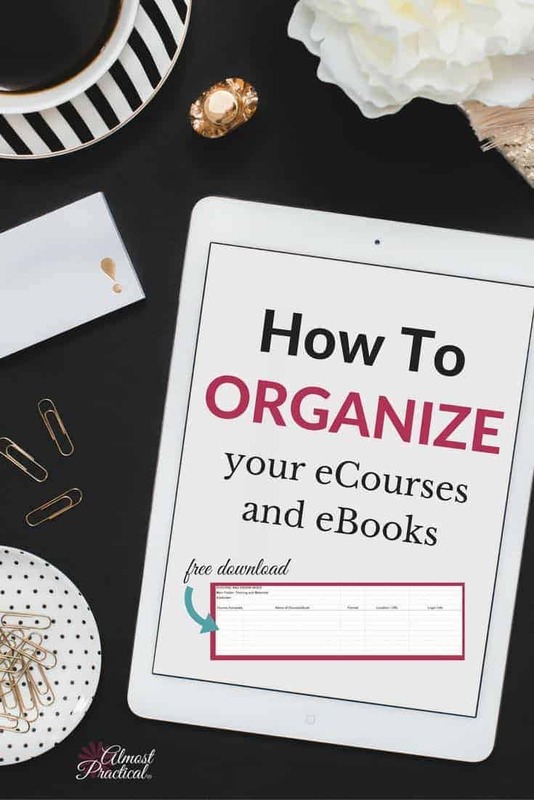 You need a way to organize your eCourses and eBooks if you do a lot of online learning. By the end of last week I felt like I was spinning out of control. My house was a mess, my purse was a mess, my teenagers rooms were a mess, but mostly my computer was a mess. That is where I spend most of my time. I have a method for quickly cleaning off my computer desktop – but even that was failing me. Don't forget to grab the template! It was time to create a master folder and several indexes to keep things in line. The obvious solution was to take the time to organize the clutter on my computer. Most of that clutter, I realized, was coming from all the many eCourses and eBooks that I download regularly. Maybe it was my recently purchased Genius Blogger's Toolkit that sent me into a spiral (receiving 62 courses and ebooks all at once will do that ;-)). But really I think it was an accumulation of both paid and free resources that wound up all over the place – my downloads folder, my desktop, my documents, etc. I needed to set up a system – oh how I love that word! – to not only organize what I already have but to handle future downloads as well. Because I think that I might not be the only person with this problem, I thought I would share this method so you can organize your eCourses and eBooks too. The first to organizing all of that eLearning goodness is to create a single folder on your computer. But wait! Don't just create any darn folder. Take a minute to think it through. For me, learning doesn't always take place when I am sitting at my computer. There is so much information to digest and absorb that it is best to have it with me wherever I go. That means that I need a connected folder. What is a Connected Folder? Basically this will be a folder that you have stored in the cloud somewhere. This could be Google Drive (like what you get with Google Apps for Work – now called G-Suite or even a free gmail account), Microsoft OneDrive, DropBox, iCloud, or any other cloud service. can install an app on your smartphone or tablet so you can access your cloud drive. Once you have picked the location that makes the most sense you are ready to start. Create a new folder in your desired location and name it something like “Training and Materials”. Now, go around your computer and find the ebooks and ecourses lurking in the shadows there. Move all of these into your Training and Materials folder. Create subfolders in your Training and Materials folder based on the name of the author, their website, or the name of the course. Use whatever is most memorable for you. 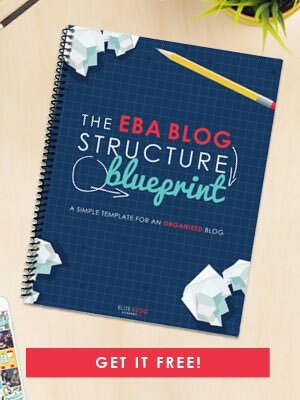 For example, if you are taking the Building a Framework course by Abby Lawson, you could create a subfolder called either Building a Framework, or Abby Lawson, or even Just A Girl and Her blog (which is Abby's website. Just use the term that you will remember easily. A peek into my Training and Materials folder. I download a lot of free materials, in addition to the classes I pay for. These free PDF's are chock full of great information but they always get lost in my downloads folder. Now I just create a subfolder using their name or website in my Training and Materials folder. Whenever I download any materials that they create I just move those downloads into their subfolder. So, for example, if I am looking for a PDF that I know was from DuctTape Marketing for instance – I just dive right into that folder to find it. 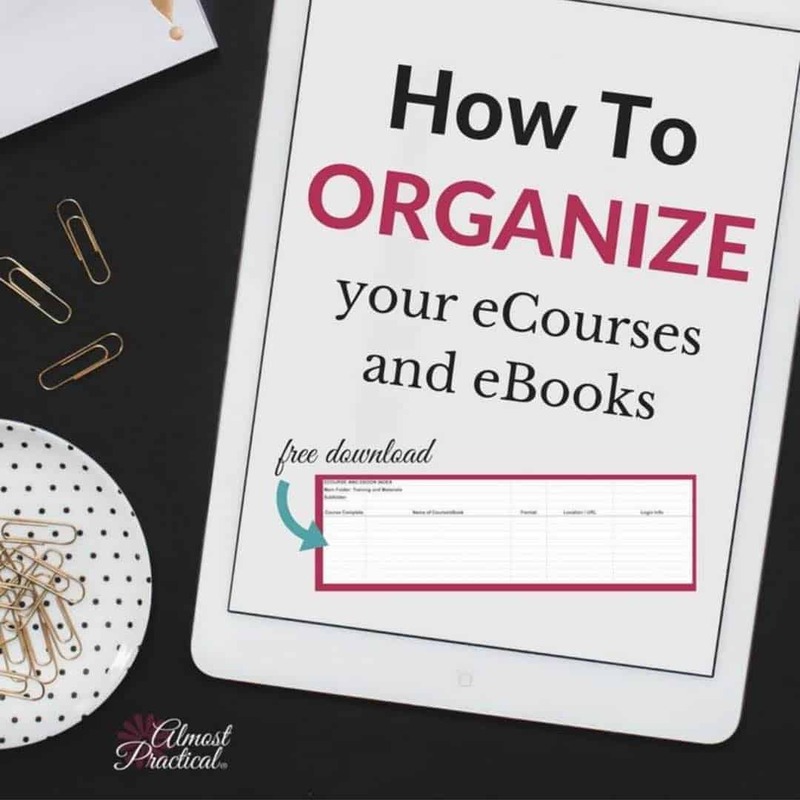 Using folders to organize your eCourses and eBooks is only the tip of the iceberg. If you bought the Genius Blogger's Toolkit – you know what I mean. eLearning is everywhere. Authors use so many platforms to deliver their content. Some use Teachable (which I love), others use Gumroad or Thinkific or SendOwl or their own website. And guess what – everything needs a password. Actually finding a course that you bought has become a challenge. Where do you go to log in and what the heck is the password? A simple solution for me is to create an index using Google Sheets – but you can use any spreadsheet program like Microsoft Excel, or Apple Numbers. Important! : Store this spreadsheet which is your index, in the SAME folder as all of your eCourses and eBooks. Do not store it in some other random location where you will not be able to find it or access it easily. In my Training and Materials folder I have a subfolder called The Genius Blogger's Toolkit. Inside this folder are all of the PDF's that came with the bundle. But many of the other items require you to login at a variety of sites. To manage it all, I created a simple spreadsheet. I titled the spreadsheet – “The Genius Blogger's Toolkit Index”. Underneath, I listed the URL of where I could go on the Ultimate Bundles website to see the bundle that I purchased. You could also list your password here (not really a secure method) if you don't use a password manager like 1Password. This column is just for me to x off when I complete the course or read the eBook. Here I just list the name of the course and the author. Use copy and paste to make this quick work. I make a quick notation here if the item is a PDF or what platform it is on – like Teachable for example. If I don't know, I just write “not sure”. If the course is on Teachable, I just copy and paste in the URL of where I can go to directly access the course. Even though I used the Genius Blogger's Toolkit as my example, you can use the same method to organize all of your courses. You can either create a master index for your whole Training and Materials folder or just create an index for the subfolders in which you need them. Personally, I prefer keeping a separate spreadsheet for each subfolder. This way there is less information on each spreadsheet and I can focus on one course at a time. The sense of relief that you get when you organize your eCourses and eBooks is amazing. After creating my master folder and several indexes, I actually feel like I have the time and space to delve into the courses instead of just trying to figure out what I have and where they are. 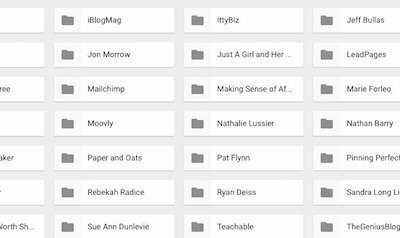 How do you keep your online courses and materials organized? Please share your methods in the comments below. Subscribe to the newsletter filled with organizing tips, tools, and ideas to create a space that you love and get access to our Free Member Library with this template. Haha, I’ve purchased about 9 bundles from Ultimate Bundles… 🙂 And I have plans to purchase many of the ones coming up! They sound great! I have WAYYYYYYY too many ebooks, ecourses, printables, etc… WAY too many. Right now, they’re all on a thumbdrive that I back up to another thumbdrive every now and then. They’re not very organized.. I do have a folder for each bundle, but that’s about it. I like the idea of an index. I don’t have that! Great idea 🙂 Thank you for sharing!